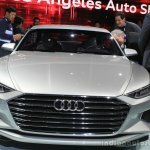 Features a 4L V8 engine, likely previewing the next gen A8. The Audi Prologue Concept has been revealed ahead of its showcase at the 2014 Los Angeles Auto Show. 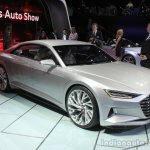 The 2-door coupe, which was designed under the leadership of Marc Lichte, head of design for Audi, previews the company's new design direction. The Prologue measures 5.1 meters in length. 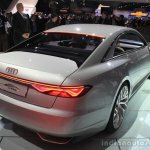 It measures a bit shorter than the Audi A8, at 5.1 meters in length, 1.95 meters in width, 1.39 meters in height and 2.94 meters in wheelbase. The front fascia of the concept highlights the new Singleframe grille and the wedge-like headlights which feature Matrix laser technology. Over to the sides, the Prologue shows its massive 22-inch Y-spoke wheels which get 285/30 tyres. 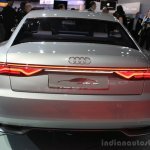 Speaking about the rear, Audi says that its angled towards the driving direction of the car, and resembles a "luxurious yacht". 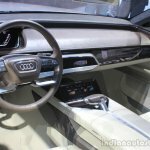 Inside, the Prologue features an innovative touchscreen display merged with the center tunnel, and even the dashboard panels on the passenger side feature an OLED display. 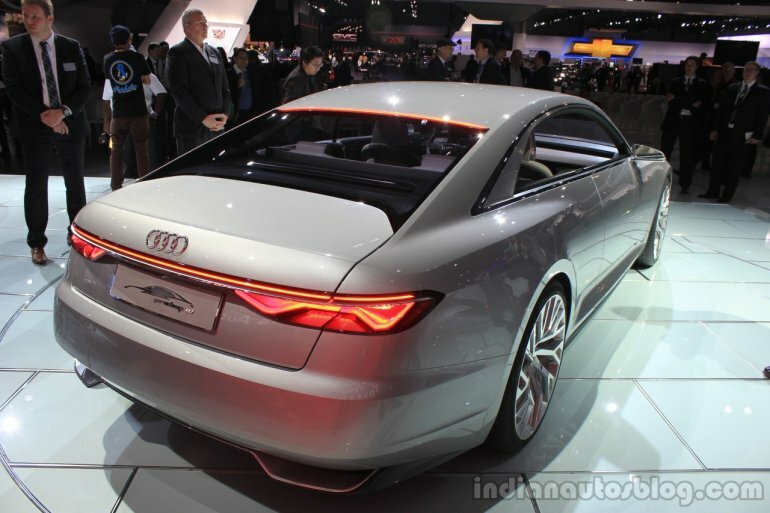 The innovative interior uses OLEDs. The Prologue is powered by a 4.0-liter V8 TFSI engine that produces 605 hp and 700 Nm of torque. 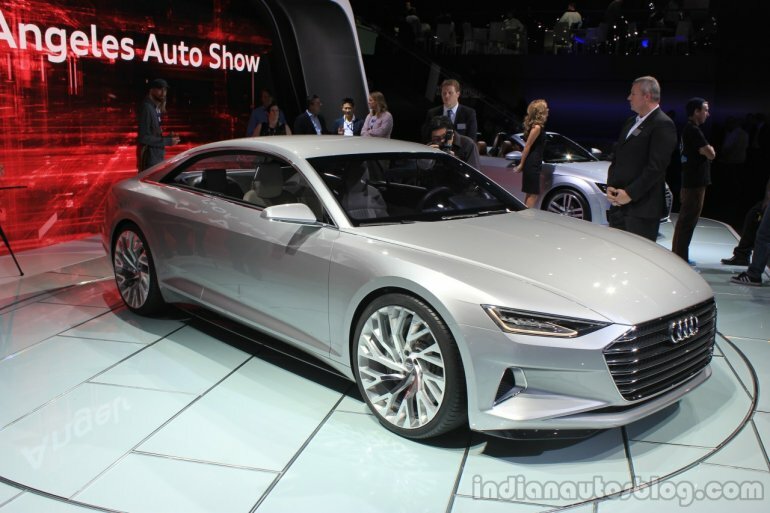 This is sent to all wheels via an 8-speed automatic gearbox and Audi's Quattro 4WD system. 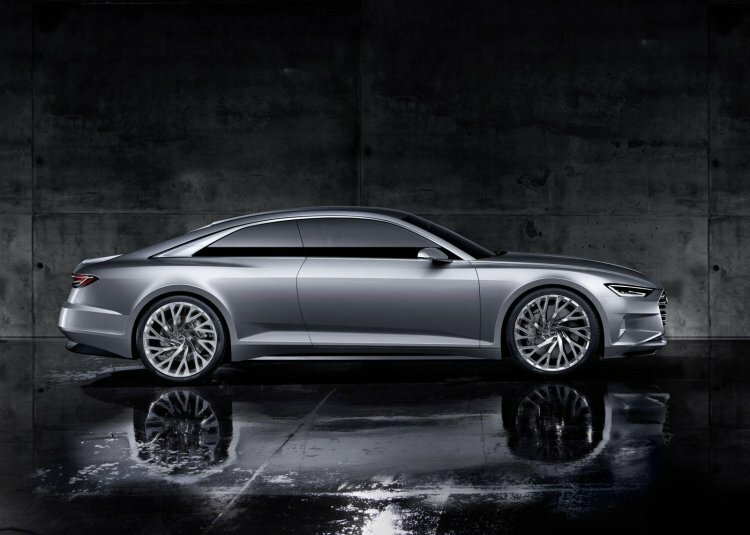 The Prologue, Audi says, accelerates from 0-100 km/h in 3.7 seconds despite weighing nearly 2 tonnes (1,980 kg). Further details are available in the press release below.